Tomorrow is the big day and you gotta have your pumpkins ready! 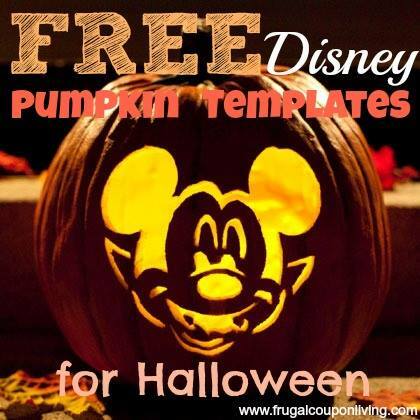 Your kids will love these awesome FREE Disney Pumpkin Templates! They have 31 different templates to choose from including Goofy, Toy Story Aliens, Wreck It Ralph, Doc McStuffins, and more. Simply pick the templates you want and print them out. Then you can free hand the design with a water based marker or you can tape the template to your pumpkin and poke holes along the lines to form your design. Start carving at the center of your design and work outward. Then just push the cut shapes out and you’ll see your character forming. Taa dah! Get more Halloween Deals including FREE Halloween Stuff (Printables, Totes, Recipes and more) on Frugal Coupon Living!